Lol. Of course he would. Steph's leaps better. Harden's much better at creating his own shot, though. I don't agree at all. Steph Curry is the most efficient scorer of all time, while shooting from close to half court consistently. Has some of the best offensive movements I've ever seen. Has insane handles. The only thing Harden is better at is ball hogging and flopping. And durability. Curry would legit have averaged 35ppg if he got the same free throw calls. Because let's not act like he's not getting fouled incredible much, while getting little respect from referees. Also lets not talk about Harden's travel stepbacks being allowed, and when Steph does it - it's called. Harden is a skilled offensive player that has successfully hacked the current game of NBA basketball. That's pretty much it. Lol if Steph just run pick and rolls every possession he'd average 40+ a game. KD probably would too tbh. Harden is great but just with Westbrook's MVP season people are acting because of his insane usage that others couldn't easily do the same thing if getting stats was their so aim. Steph's unanimous MVP is way more impressive than any of these statistically eye popping seasons since. Lost too many matches recently but thankfully the Rockets play Lakers next despite CP3, Capela, Gordon being out. Watching Indiana vs Philly here and this game so far is just reinforcing my belief that Oladipo is a fraud. 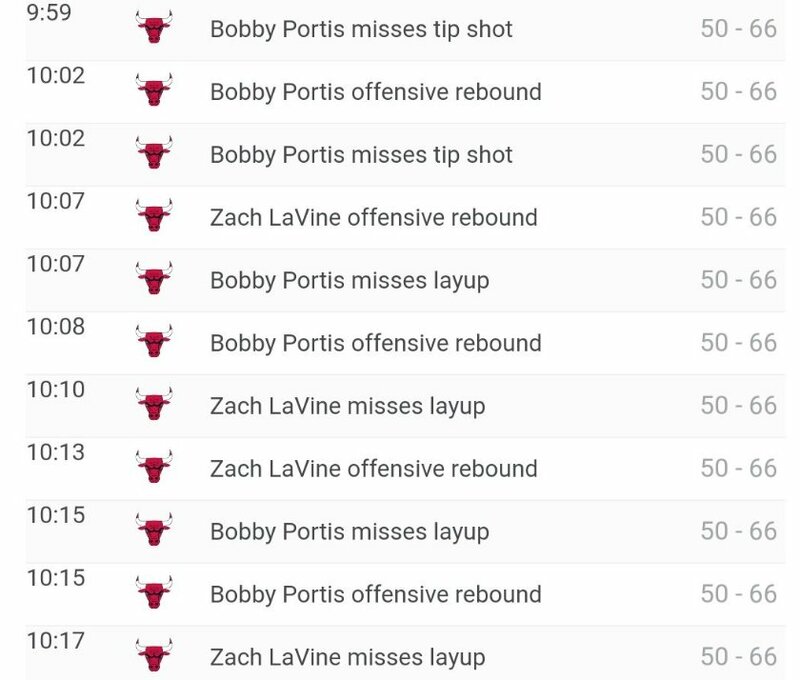 His only attacking contribution in the first 6 minutes was to take a long two off of a screen, which he missed. The most overrated point-guard in the NBA right now, imo. A guard's a guard in today's NBA. Zubac is an NBA caliber player. He's been playing more like one since moving to Indiana. What's GL's opinion on the three-point chucking NBA anyway, has it been talked about? Some fans seem to be really unhappy with it. Funny enough that record has been broken twice in recent weeks lol. Current record was set by us and Golden State a couple of nights ago where Randle and Draymond made 7! 3s lol. AD is out for two weeks. Tank and trade everyone except for Jrue IMO then rebuild completely with whatever assets we get for AD in the summer. No point delusionally holding onto to fantasy talk tbh. Mirotic for Portis and Felicio, imo.